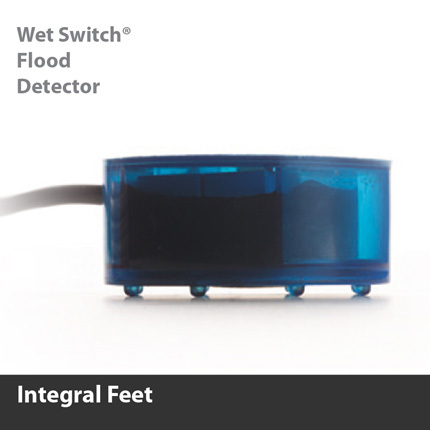 Integral feet raise the hydrophilic pad and sensor array off the drain pan slightly to prevent nuisance tripping and pan corrosion (metal pans only) from interfering with the sensor array. 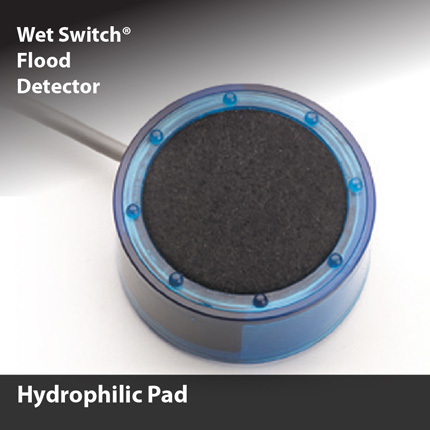 A high tech polymeric fiber quickly draws water into the sensor array using proven capillary technology. 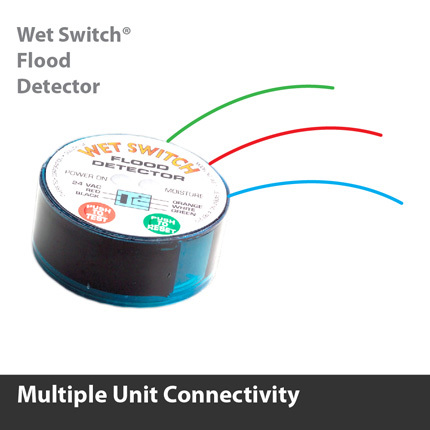 Multiple unit connectivity allows for multiple Wet Switches to be connected in series to adequately cover large drain pan areas. 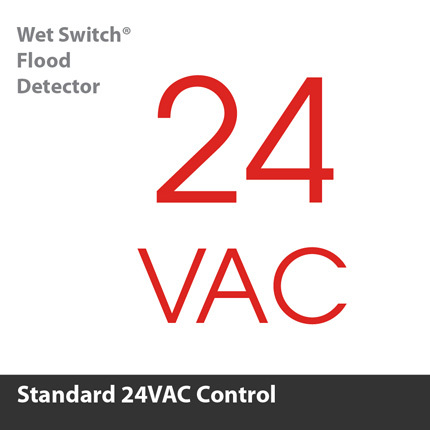 Power supply to the Wet Switch® is 24VAC, the standard power available on most air handler units. This makes hookup quick and easy. There is no need to run different power to the switch. 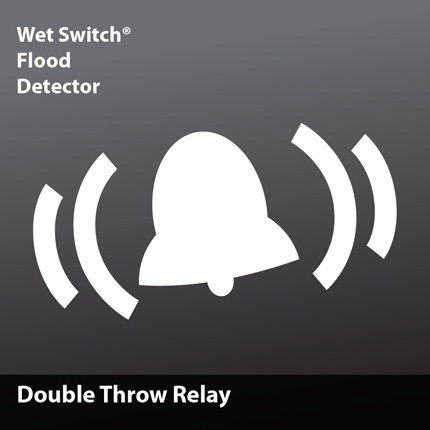 The double throw relay allows for wiring to interrupt the system and to sound an alarm (by others) when moisture is detected. 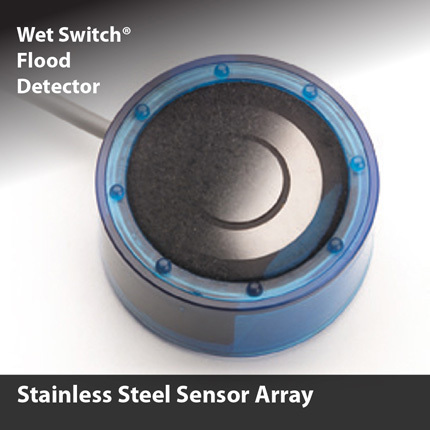 A high tech array of multiple stainless steel sensors detects even a minimal amount of water drawn into the hydrophilic pad. 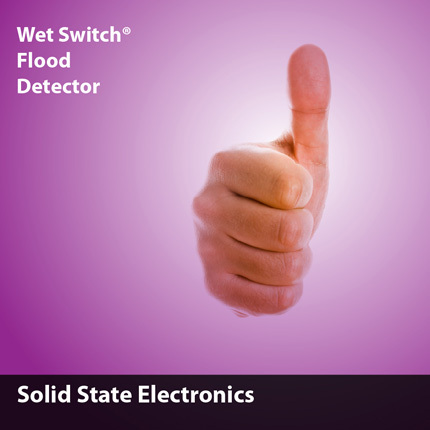 Proven electronics prevent mechanical failure in an aggressive operating environment. 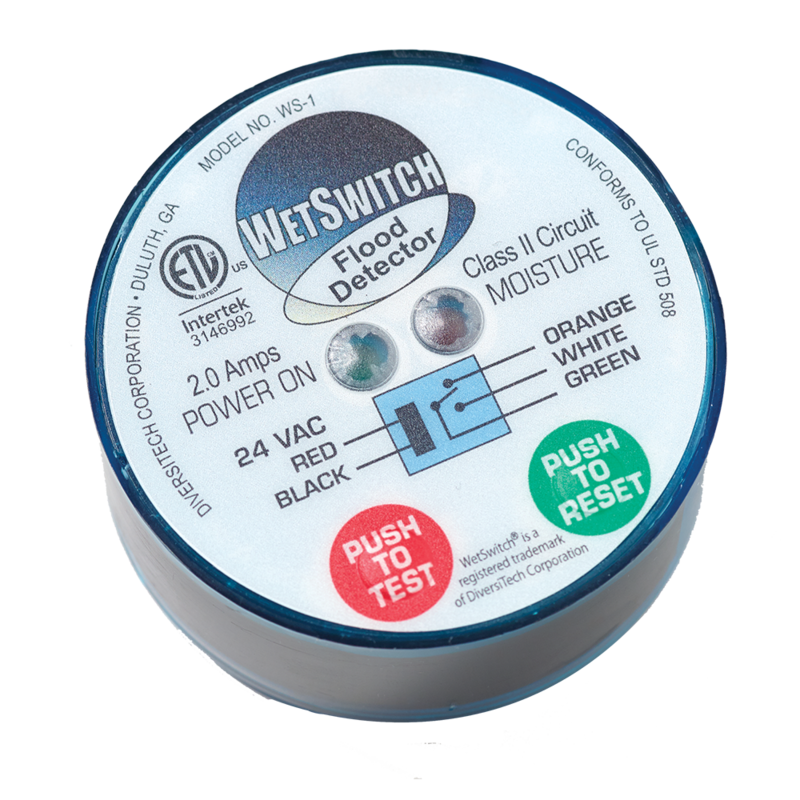 When the Wet Switch® activates, it locks out the call for cool circuit on the air conditioner until the switch is manually reset. 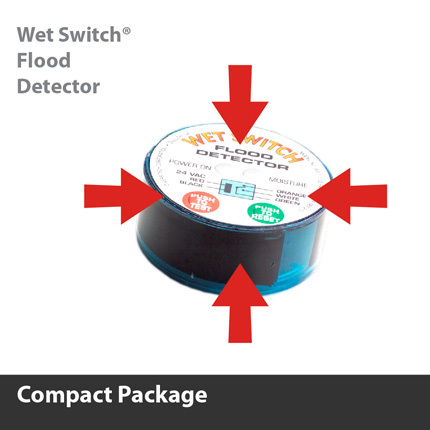 This prevents continuing damage in cases where the overflow water drains out of the pan, onto the surrounding ceiling. 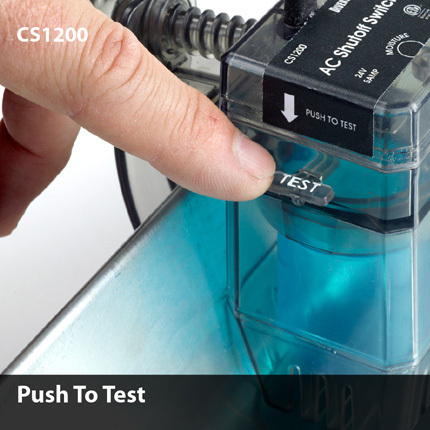 The push to test button on Wet Switch® gives the installer a quick, easy way to test the wiring on their installation. 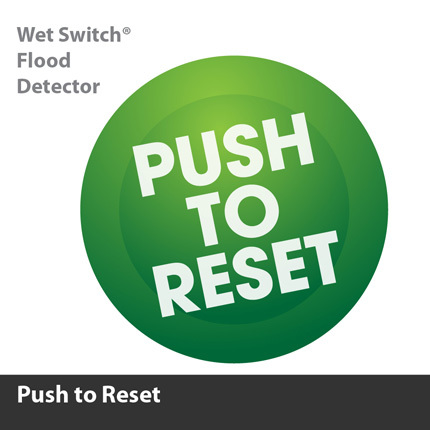 Giving you the confidence the switch will work as designed, when needed. 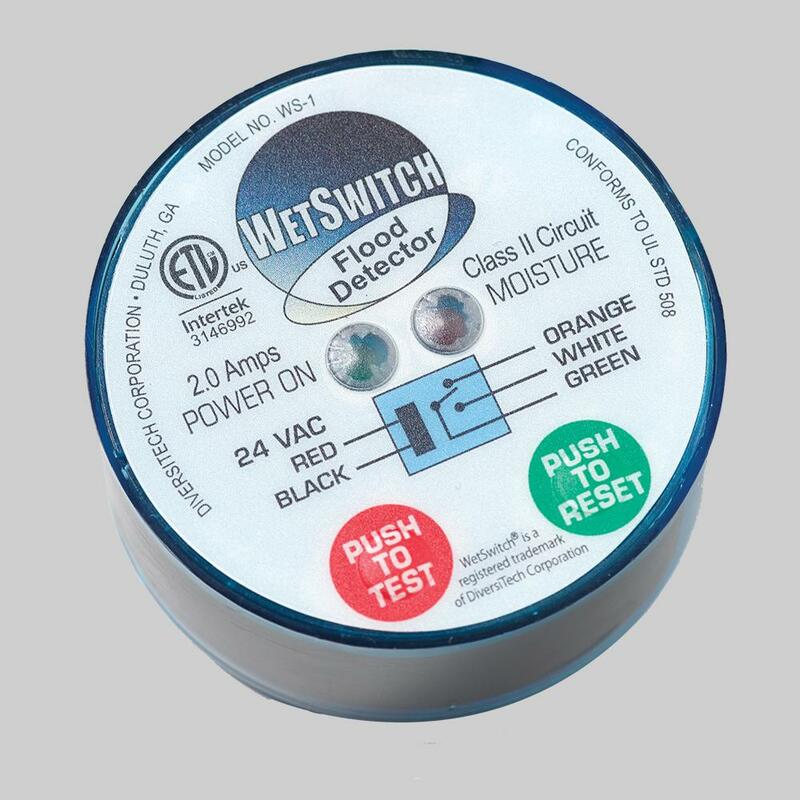 This technology is packed into a hockey puck sized 3-5/8" diameter by 1-1/4" high cylinder. Furnished complete with 5-conductor 22AWG stranded cable, 6' long.